Melissa: Wow these are beautiful. 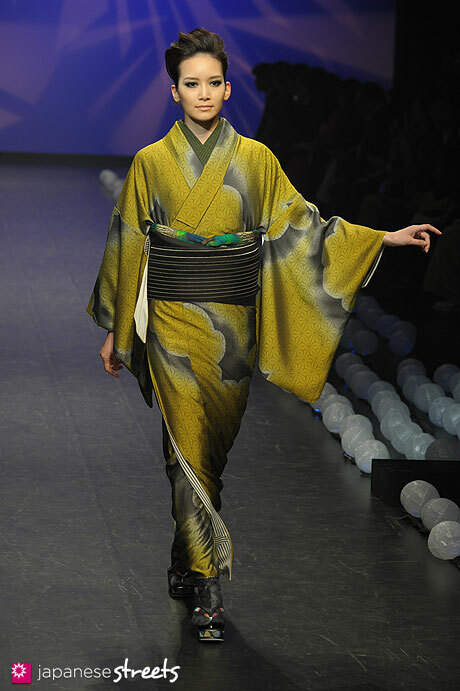 Spring/Summer 2015 Collection of Japanese fashion brand KBF on October 16, 2014, in Tokyo. Kjeld Duits: @Maria: I have even walked out of a fashion show because the light was just too bad. Maria: @KD: Yeah, I was just noticing that runways look more like night parties than showrooms :/ That’s a real challenge! 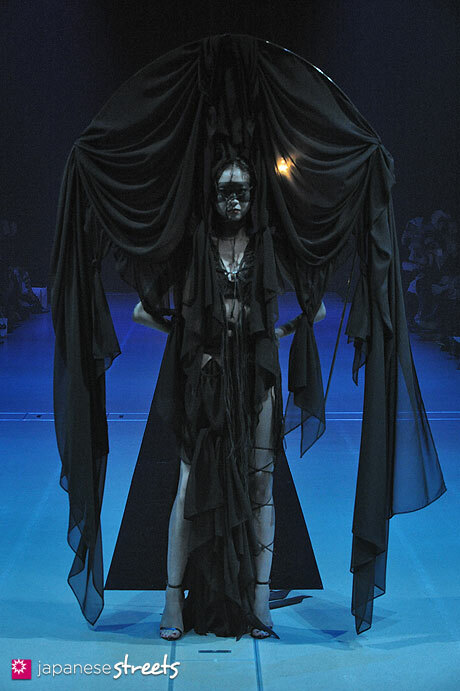 Kjeld Duits: @Maria: Japanese fashion shows are infamous for their terrible lighting, and strobes are not allowed, so photographers of Japanese fashion shows all struggle with getting well-lit clear photos. 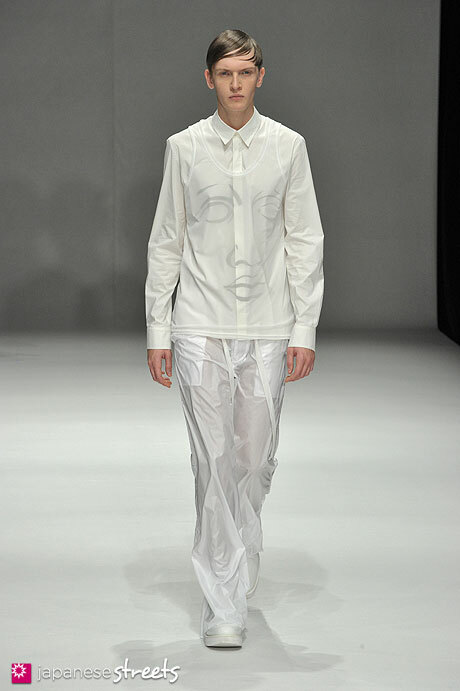 Spring/Summer 2014 Collection of Japanese fashion brand JOTARO SAITO on October 16, 2014, in Tokyo. sue: Hey I love the variety in kimono style and colour-it really does just pull all the elements of Japanese street fashion togethor! Spring/Summer 2015 Collection of Japanese fashion brand IN-PROCESS BY HALL OHARA on October 16, 2014, in Tokyo. Spring/Summer 2015 Collection of Japanese fashion brand DRESSEDUNDRESSED on October 16, 2014, during the Japan Fashion Week in Tokyo.